Report for President Trump's wall along the US-Mexico border is that all-time high weeks into a partial government shutdown which involved a border security dispute for funding. According to the results of ABC News and Washington Post poll released Sunday morning, 42 percent of Americans support a wall. That is up from 34 percent one year ago and a previous high of 37 percent in 2017. With 54 percent, the majority poll still opposes building a border wall. However, that opposition is shrinking, as 63 percent opposed to a year ago and the previous one was 60 percent two years ago. Trump's demand for roughly $ 5.6 trillion in border security funding led to what is now the longest government shutdown in history as Democrats in Congress rejecting any spending bills that include money for a wall. 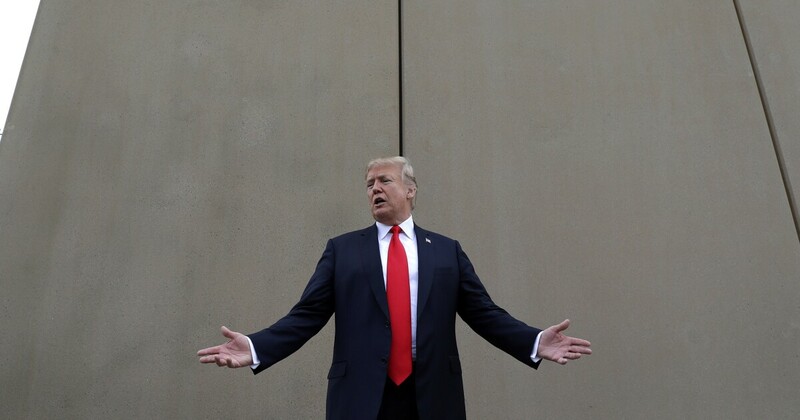 Last week, the fight escalated when Trump delivered a prime-time address to the nation to make his case for a physical barrier along the southern border, calling the situation a crisis. House Speaker Nancy Pelosi, D-Calif., And Senate Minority Leader Chuck Schumer, D-N.Y., Delivered to rebuttal, arguing Trump was propagating a "manufactured crisis." 1; 24 percent – believe there is a crisis-level situation in regards to immigration at the border. While support for Trump's wall has risen, most Americans blame Trump and his fellow Republicans for the shutdown: 53 percent say Trump and the GOP are mainly responsible, while only 29 percent point to congressional Democrats. Thirteen percent of respondents blame both sides equally. The survey, conducted by phone from Jan. 8-11, of 788 adults has a margin of error of 4.5 points. The survey was produced by Langer Research Associates. Sampling, data collection, and tabulation were run by SSRS.